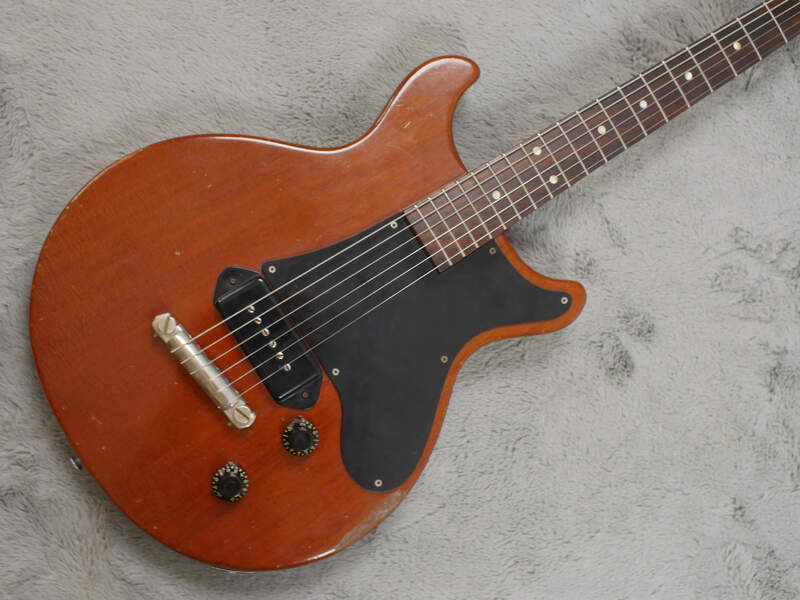 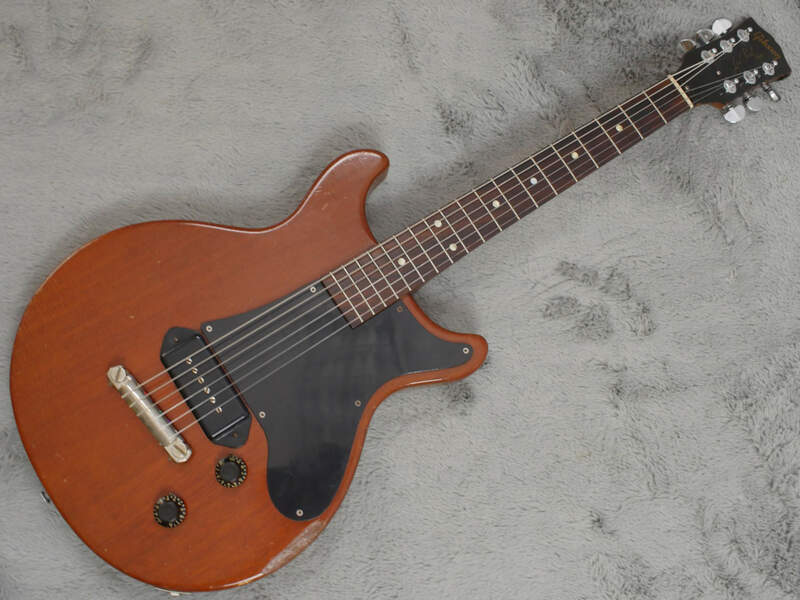 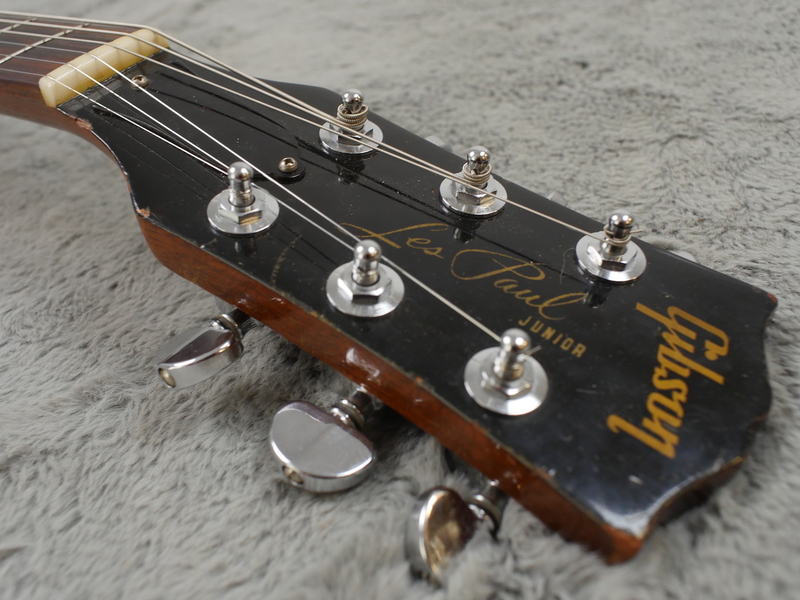 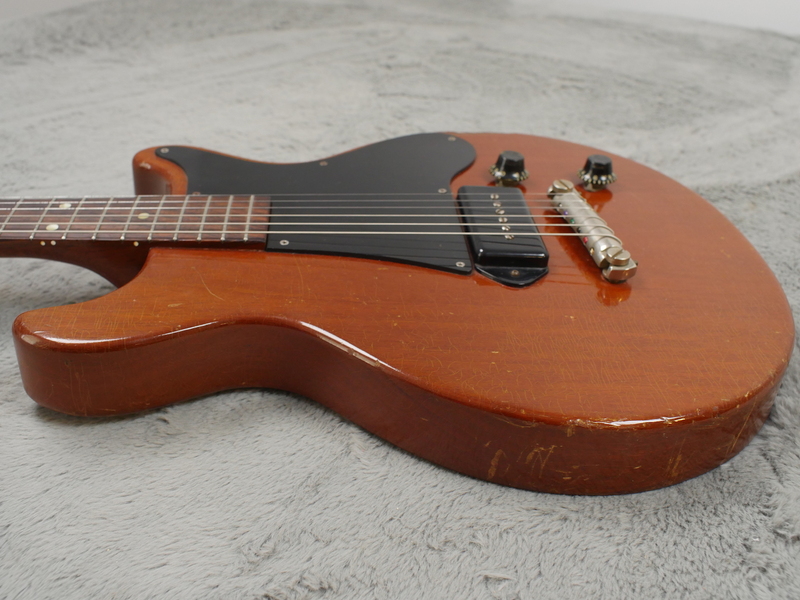 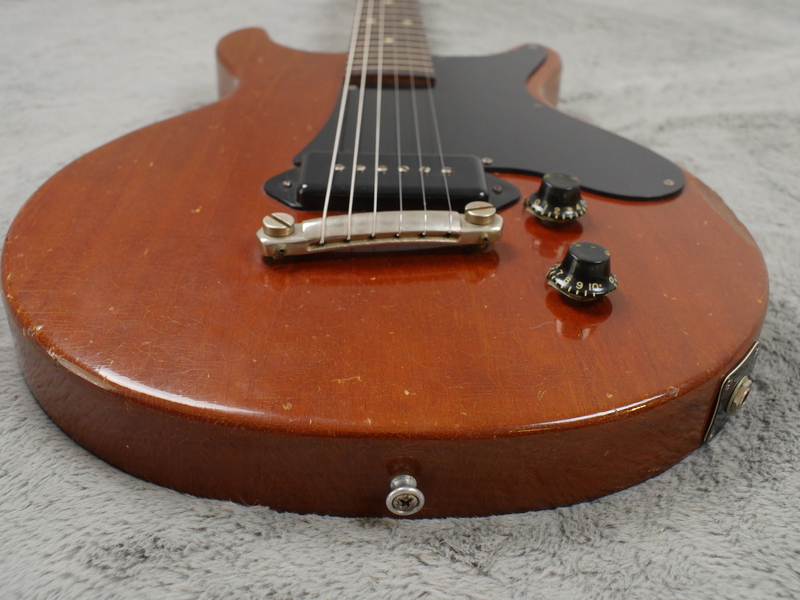 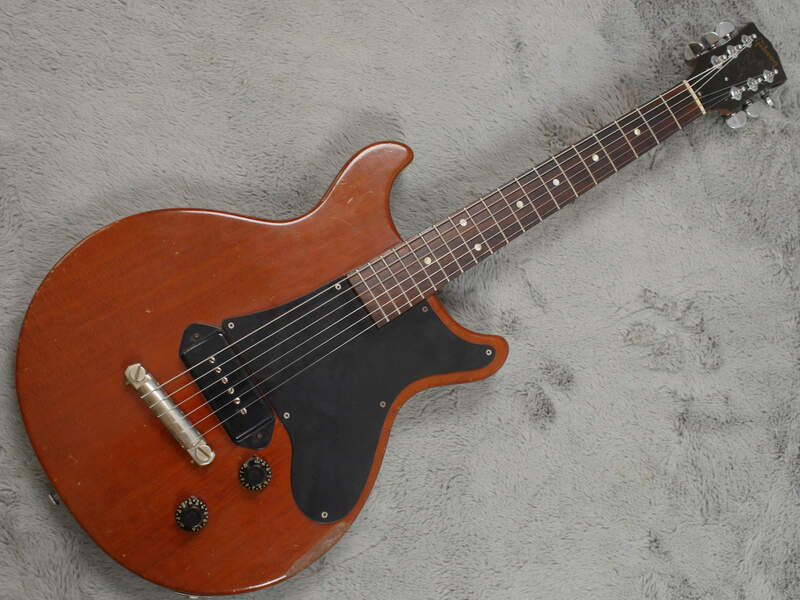 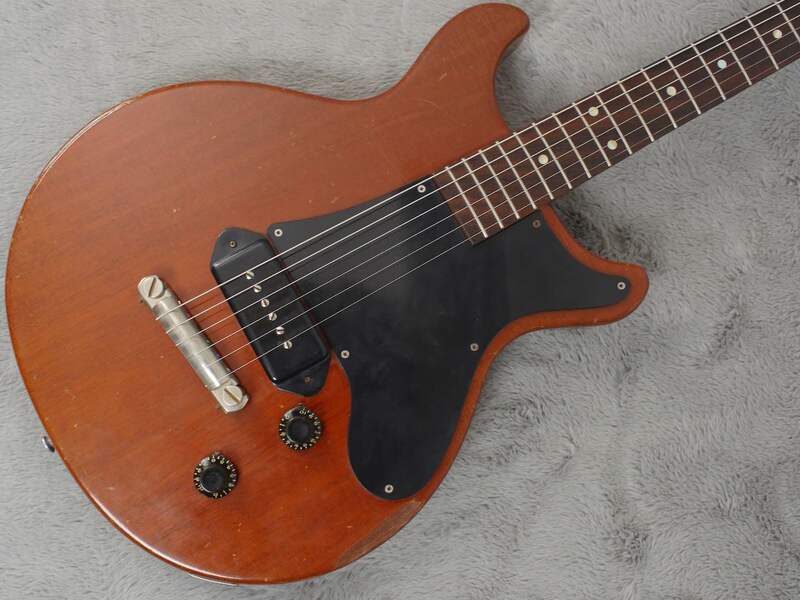 Here’s something not from the Norm… A super cute little 1959 Gibson Les Paul Junior 3/4 size. 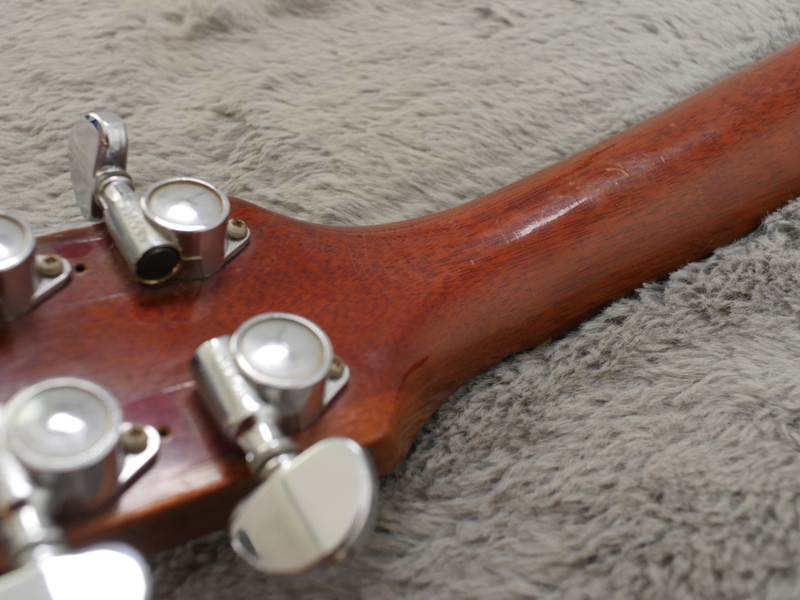 Perfectly playable, sounds brilliant and would make a great band mascot perhaps..? 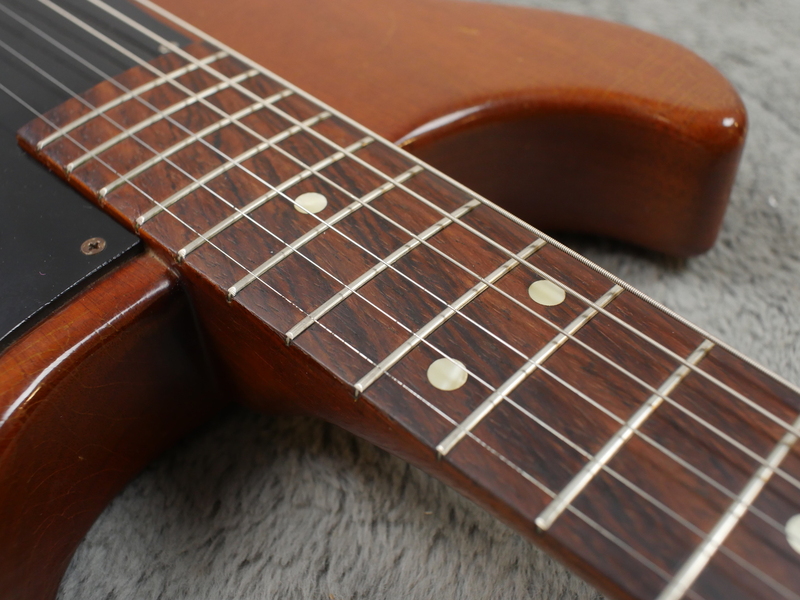 Seriously, this is a damm fine guitar. 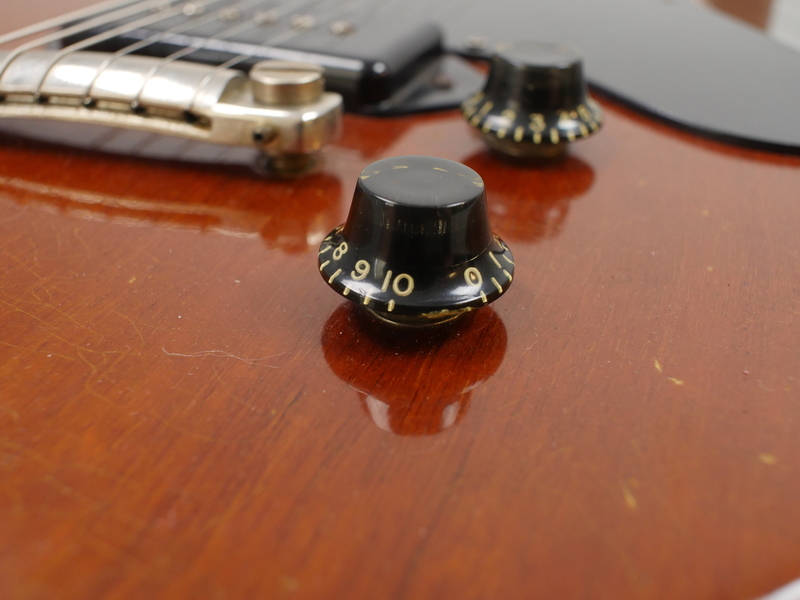 Plug it in, turn it up and it will give all of it’s full size brethren a run for the money. 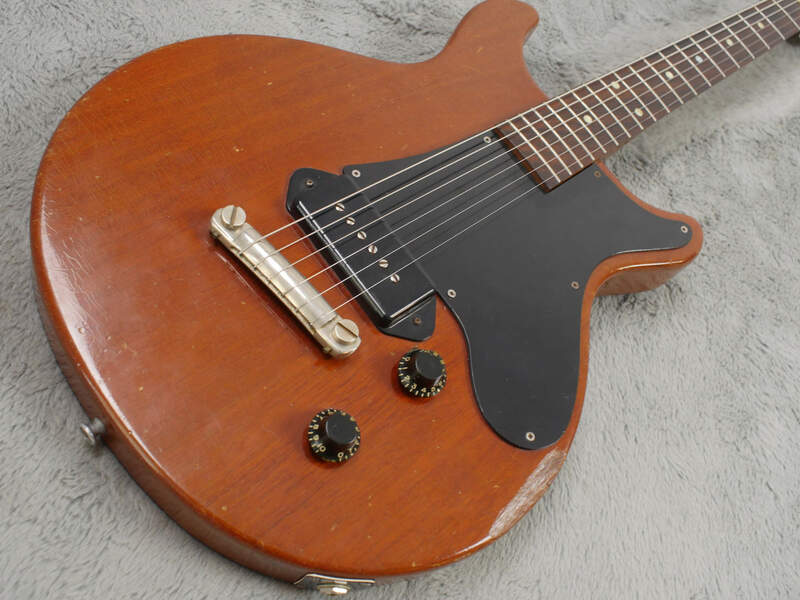 It is basically a full size 1959 Les Paul Junior body but Gibson mated it with a short scale neck that does, it has to be said, looks a little weird at first. 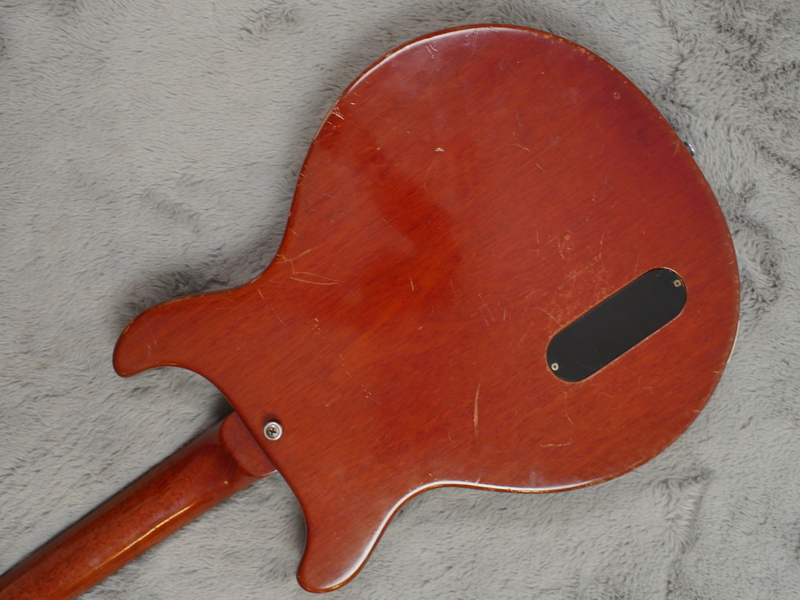 It has the pickup way back in the body and has this rather unique pickguard mounted on it. 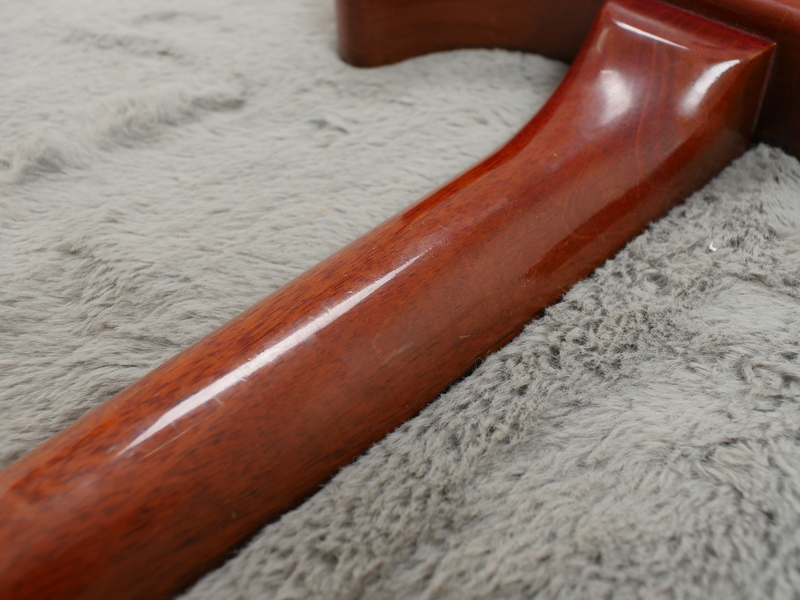 All original finish that has faded to root beer shade on the top, no touch ups or over sprays anywhere. 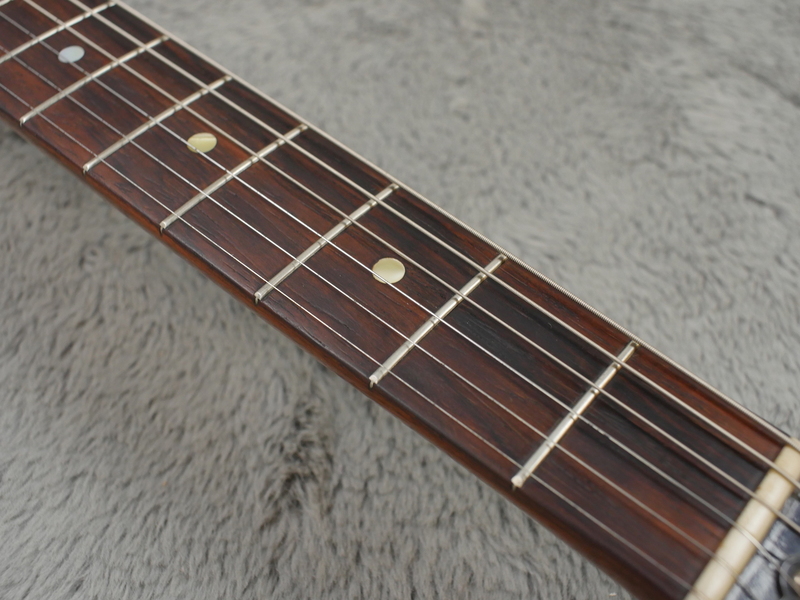 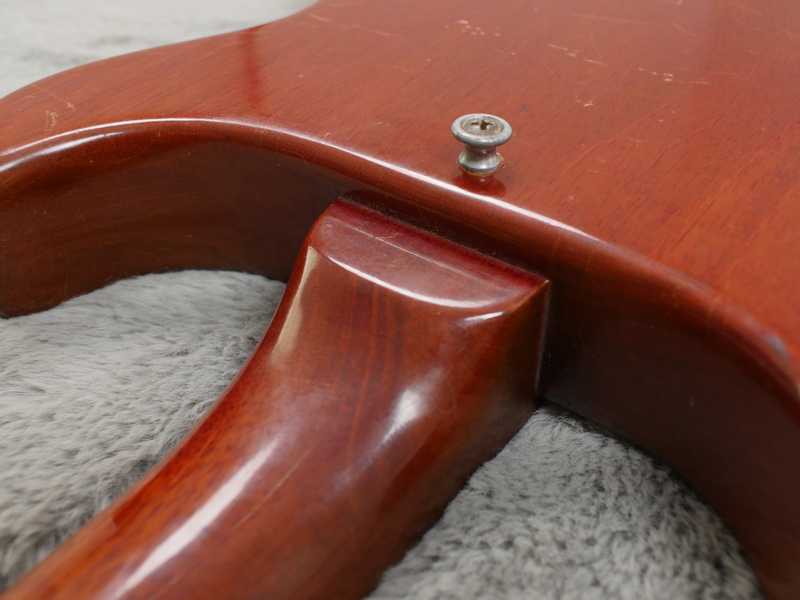 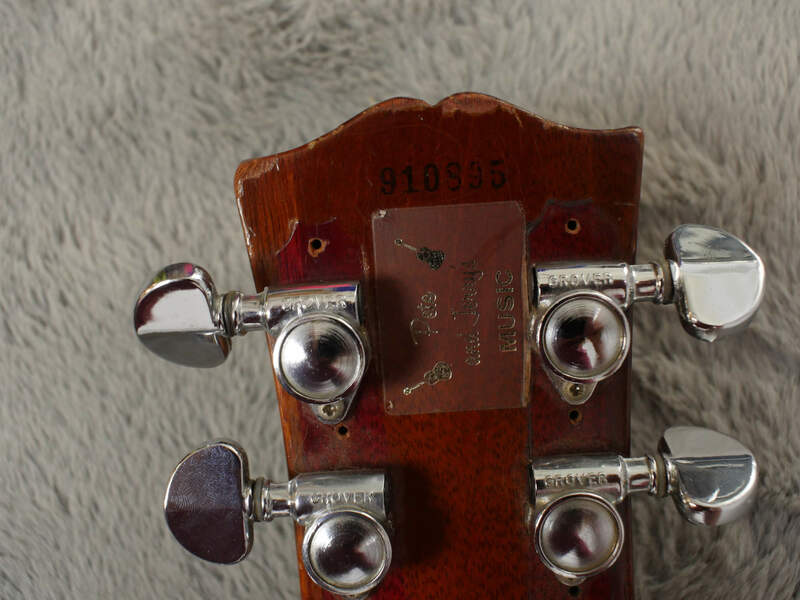 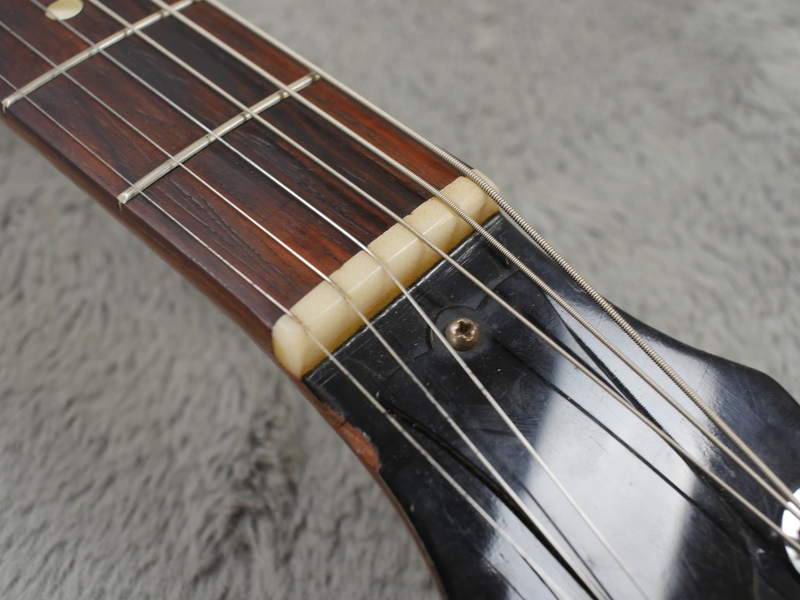 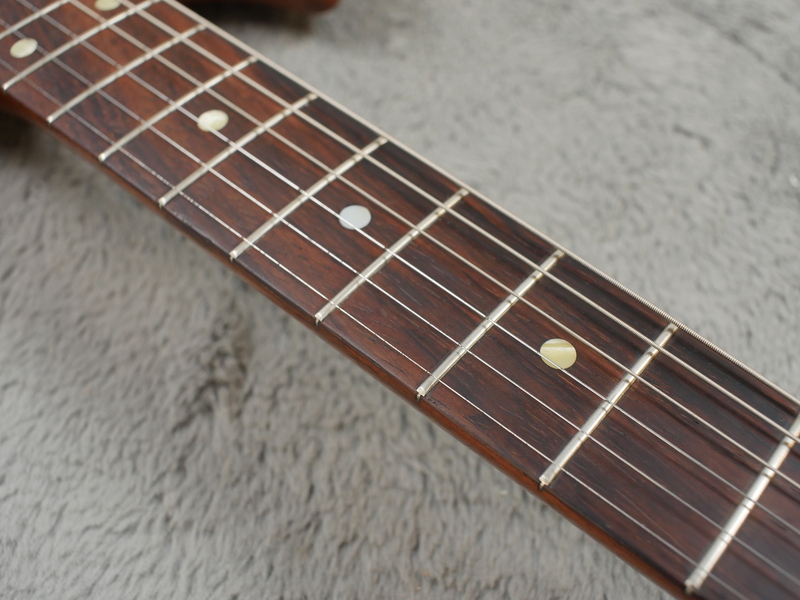 Tuners have been replaced with old Grovers, bridge looks to be a little later and we replaced one fingerboard dot that was missing (had to specially order the correct size too). 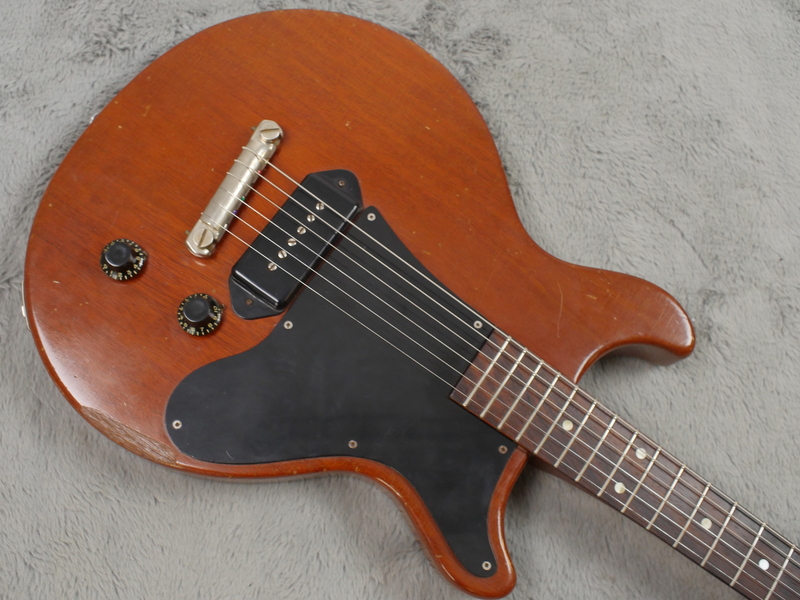 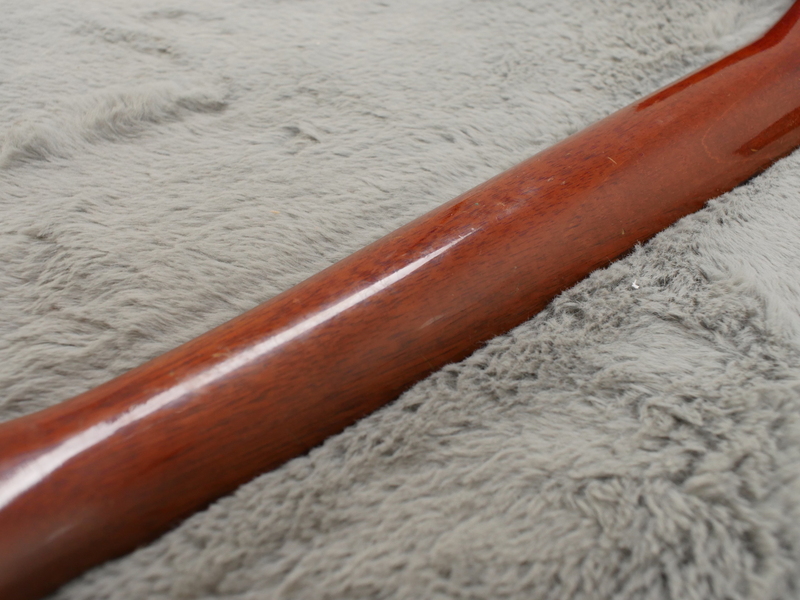 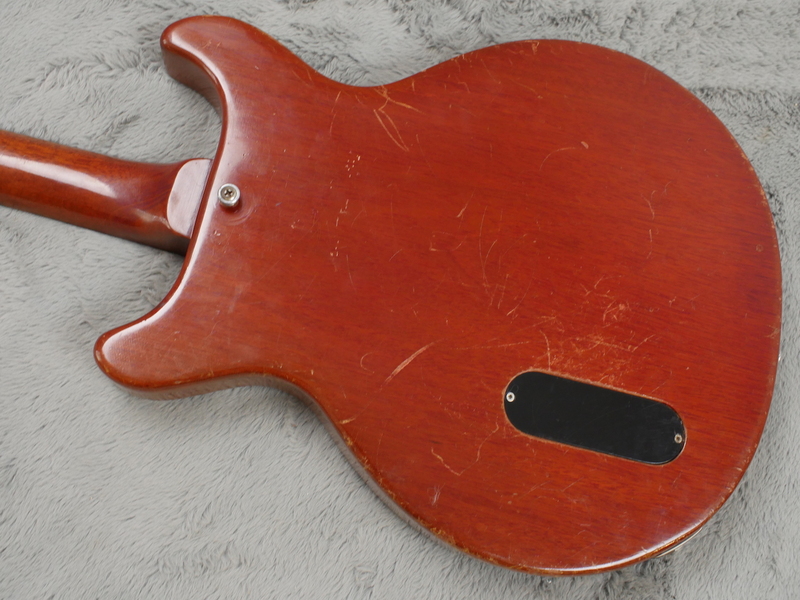 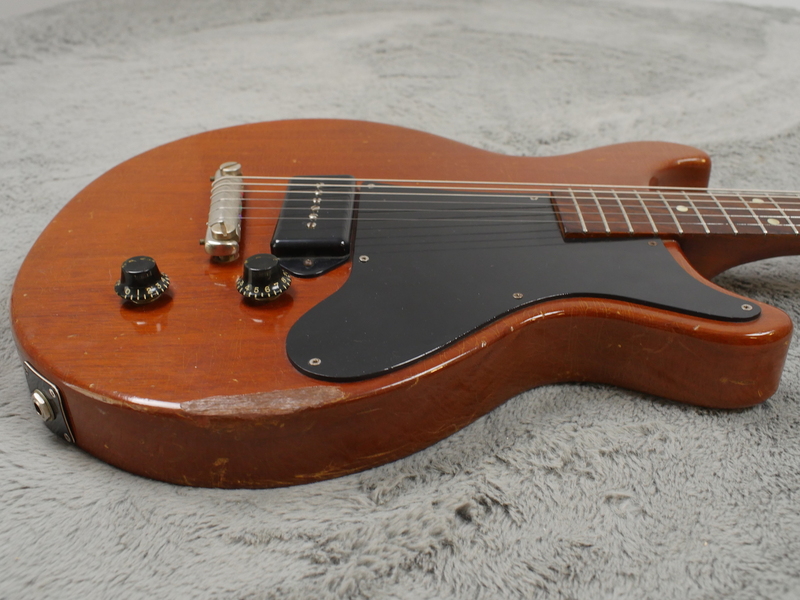 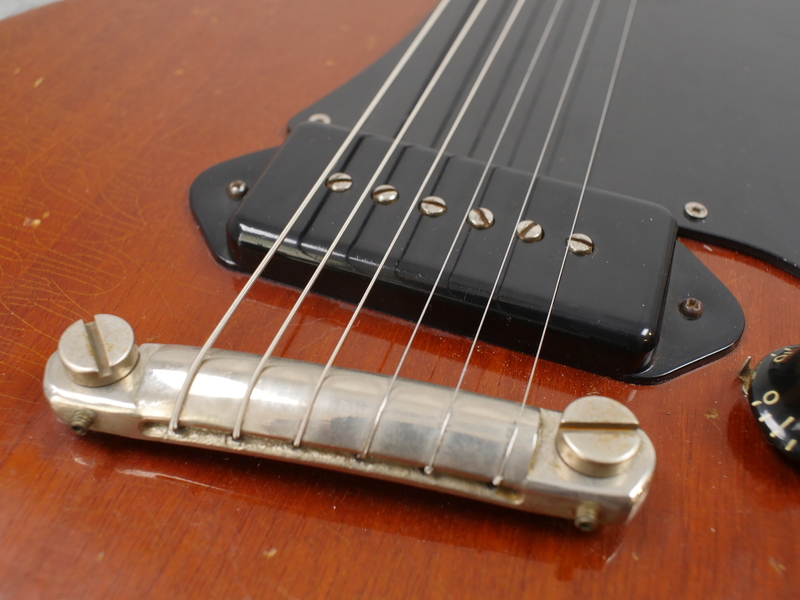 Super hot pickup is of course a full size, full steam, vintage P-90 from the classic era. 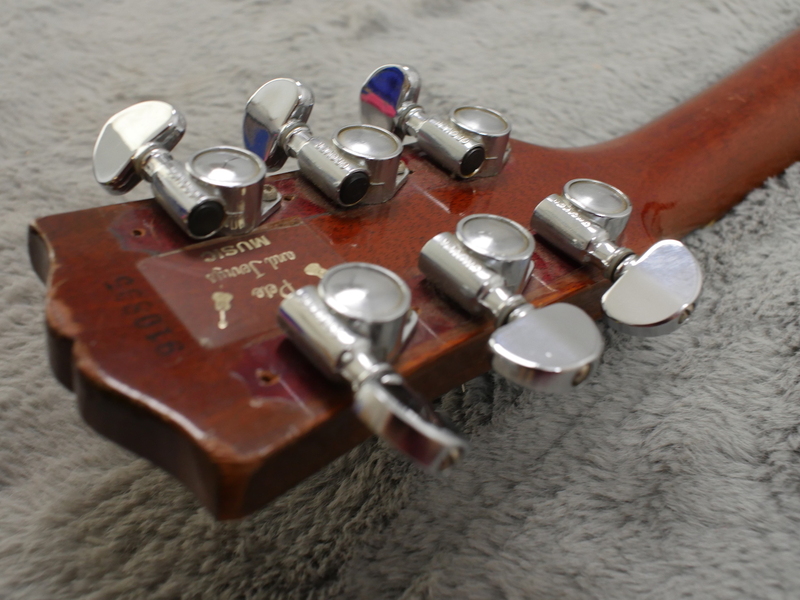 All electrics, pots etc are original and you will be surprised and the power you can get from such a tiny package.